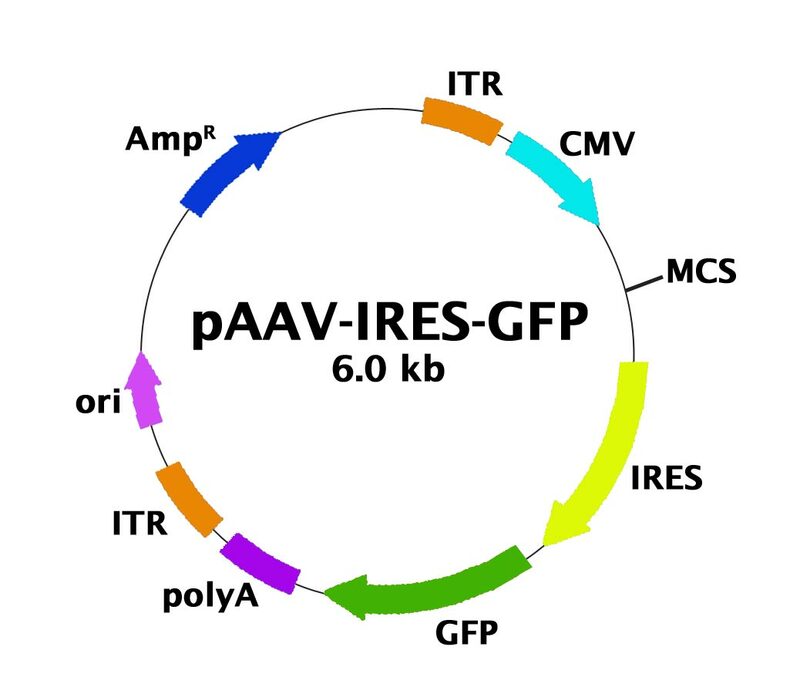 AAV Bicistronic Expression Vector (IRES-GFP) | Cell Biolabs, Inc.
Syu, B.J. et al. (2016). Dual roles of IFN-gamma and IL-4 in the natural history of murine autoimmune cholangitis: IL-30 and implications for precision medicine. Sci. Rep. 10.1038/srep34884. Nishikawa, T. et al. (2015). Resetting the transcription factor network reverses terminal chronic hepatic failure. J Clin Invest. doi: 10.1172/JCI73137. Huckstepp, R. T. et al. (2015). Role of parafacial nuclei in control of breathing in adult rats. J Neurosci. 35:1052-1067.